A pair of retail quality fashion sunnies with UV 400 lenses. A promotional item suited to the outdoors! These retail quality fashion sunglasses boast a polished ABS frame with arms that are fitted with CE standard 100% UV 400 lenses that provide both UVA and UVB protection. 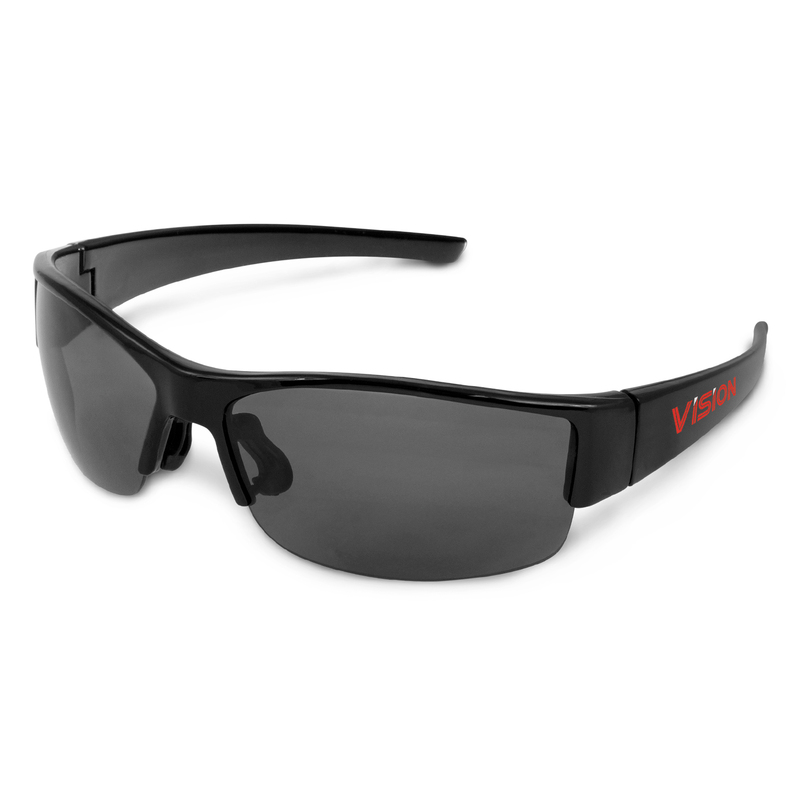 Available in any colour as long as it's black these sunnies can be supplied with an optional microfibre pouch and are great for cycling and playing sport.